Randy Myers (right) is director of fitness at the Sea Island Golf Performance Center. Today’s golf professionals are utilizing special fitness regimens to get them in top shape for the green. Today’s professional golfers hit the ball farther than ever, regularly astonishing fans by driving a 400-yard par 4 or hitting 7-irons in from more than 200 yards. Many golf experts have attributed this to improvements in technology, yet the same exact gear is available to all amateurs, most of whom have seen little corresponding benefit in terms of booming drives or lower scores. If equipment alone cannot explain why the current generation of golfers is the best and most well-rounded ever, what else plays a role? That would be fitness, and it can hardly be a coincidence that today’s pros are more physically fit and conditioned than ever before. Randy Myers, director of fitness at the Sea Island Golf Performance Center, currently trains 17 PGA TOUR players. Myers has been a pioneer in the field ever since he wrote his master’s thesis on golf fitness 25 years ago at Pennsylvania State University. However, while Myers is firmly convinced fitness can make anyone play better, he is equally concerned with everyone playing longer, fixated on the notion that golf can be a forever game enjoyed by grandparents along with younger generations. Conditioning can improve your game. He also offers a variety of dedicated consultations. These include a one-hour evaluation and stretching session, a 90-minute evaluation and custom fitness plan developed using the Titleist Performance Institute evaluation, a series of five 30-minute stretching classes, and kinematic sequence analysis using Nike’s NG360 Golf Performance Assessment system. For this, golfers are covered in sensors and swing while high-speed cameras and computers create a complex, 3-D, 360-degree model of the swing including weight transfer, muscle load, shoulder rotation and range of motion. It’s a combination of technology and old-school drills (see sidebar for more information) that Myers hopes will allow players to keep golfing for the rest of their lives. 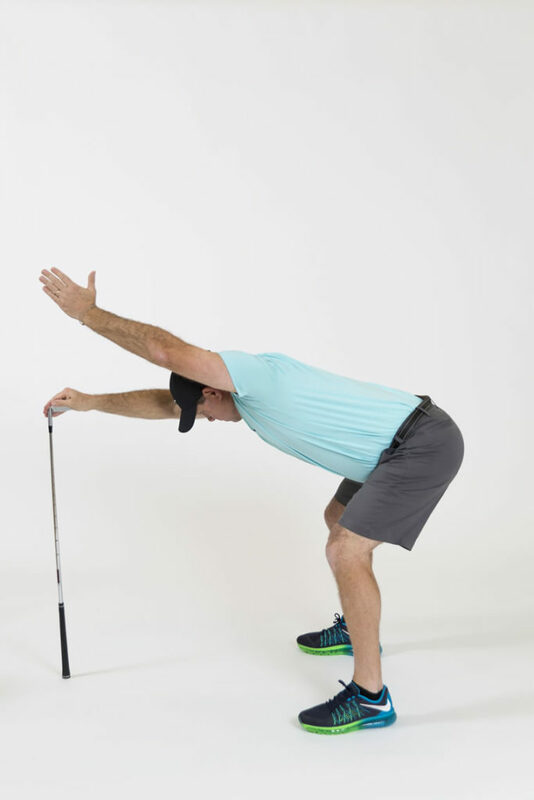 If you want to work on posture and balance: “These are the two things you can address that will immediately allow you to put the club in a better position,” Myers says. 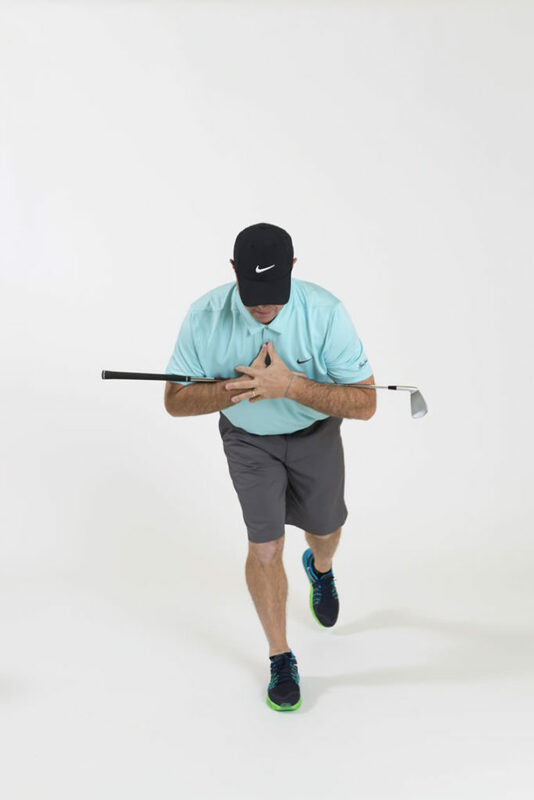 Drill A: Clutch your golf club horizontally to your chest with overlapping hands and stand on one leg for 30 seconds. Then turn in the direction of the standing leg and hold for 15 seconds. Switch legs. If you can’t hold for these times, do what you can and work up. If you can’t balance at all, touch the other toe to ground until you can. “This addresses posture as well because you need to have good posture to balance,” Myers says of this drill. If you want to learn how to properly utilize your lower body: “The most common problem I see in amateurs is they don’t know how to load, to use the ground and their lower body to generate power; it’s all arms and hands which leads to inconsistency,” Myers says. Drill B: Stand and hold the club out in front of you vertically with arms fully extended, then slowly lift one arm keeping it straight as you extend it vertically. The goal is to lift your hand parallel with your shoulder and spine angle.